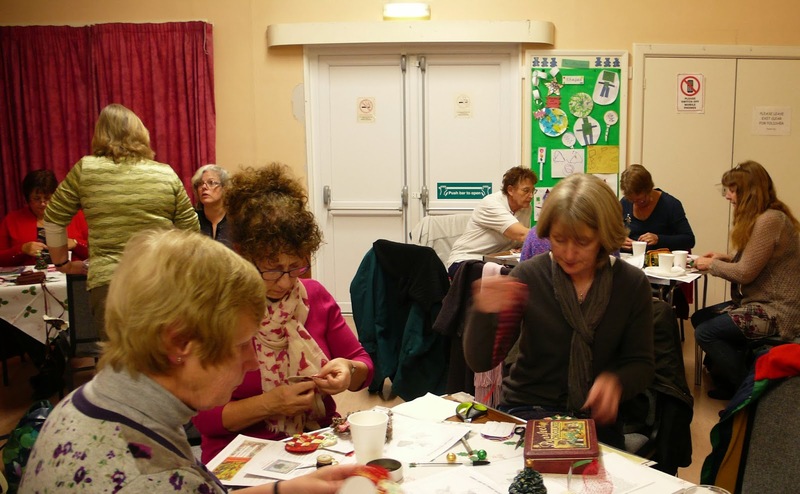 Andover Branch Embroiderers' Guild: Christmas Party! We all had a very enjoyable evening last Monday (9 December) at our Christmas meeting. Everyone arrived laden down with sewing kits and yummy food! Eleanor and Helen had produced packs for us to make heart-shaped bags. After a brief explanation we all got to work! If that wasn't enough, Eleanor also provided us with two mind-boggling Christmas quizzes to exercise the grey matter! Some of us managed to finish our bags on the night, others still have a little work to do before Christmas. We all had a super time and thanks go to the committee but especially to Eleanor and Helen for all their hard work.